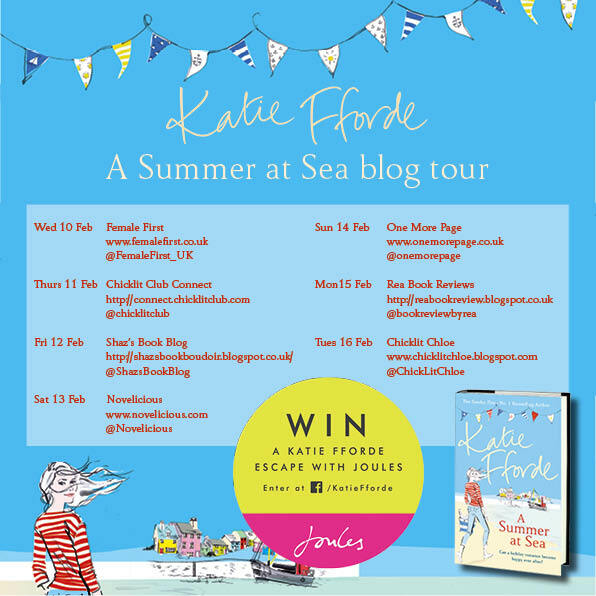 Today it is my stop on the blog tour for A Summer at Sea by Katie Fforde. I am thrilled to be a part of this tour as Katie has been a much loved author of mine for many years, so it was great to be able to have the chance to ask her some burning questions about her latest release. 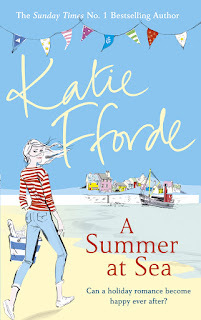 Hello Katie, thank you for stopping by Rea Book Reviews on you blog tour for your fabulous new book A Summer at Sea. I thoroughly enjoyed this book and my favourite part in the book was when Emily, Alasdair and Kate went across to the sea lock and had a magical day there and it made me wonder how much of your own personal experiences have you put into this book? A lot of what I put in this book was based on a wonderful trip I made with my friend, writer Jo Thomas. She was researching oyster farming and we visited one set on a sea loch. As a family we have also visited Loch Tay for many years so picnics involving billy cans and fires are what I know and love. When reading A Summer at Sea, Crinan was so beautifully described which made it so easy to picture, what was it about Crinan that made you want to write a book based there? You’d have to visit Crinan to see how beautiful it is, but it has a perfect setting. There are views over the hills to distant Islands and it just seems the most romantic spot in the world. In A Summer at Sea Emily takes time out from her career and has a dabble at a different career cooking on the Buffer, if you could take some time out of being our much loved author what career would you like to try? I quite fancy doing something a bit different, call it a proper job – for a while. I think I’d like to be an artisan baker, or something involving food. I get quite excited by a pile of vegetables and a big sharp knife! When you finish writing your books do you find it easy to leave the characters behind or have there been any who are just eager to make it to another book? Sometimes my characters live on in my head. It is sad to leave them when you worked so hard on creating them. But then a new lot arrive and you love them just as much. Do you find much time to read and do you find it has any effect on your writing if you read whilst in the middle of writing a book? I always find time to read – it’s so important to me. I don’t usually find the books have an effect on my writing although recently, I have been reading The Diary of a Provincial Lady. It has a very particular writing style and I found that crept into my emails. I know I’ll always spot a change of style. One’s style is almost like handwriting, very individual. She has a career as a midwife that she loves . She enjoys living on her own as a single woman. But she’s also feels it’s time for a change and a spot of some sea air. So when her best friend Rebecca asks whether she’d like to spend the summer cooking on a ‘puffer’ boat just off the Scottish coast, she jumps at the chance. But she barely has time to get to grips with the galley before she finds herself with a lot on her plate. Rebecca is heavily pregnant and is thrilled to have her friend on board doing most of the work. Then there’s Emily’s competitive and jealous kitchen assistant who thinks she should be head-cook, not Emily. And there’s Alasdair, the handsome local doctor who Emily is desperately trying not to notice. 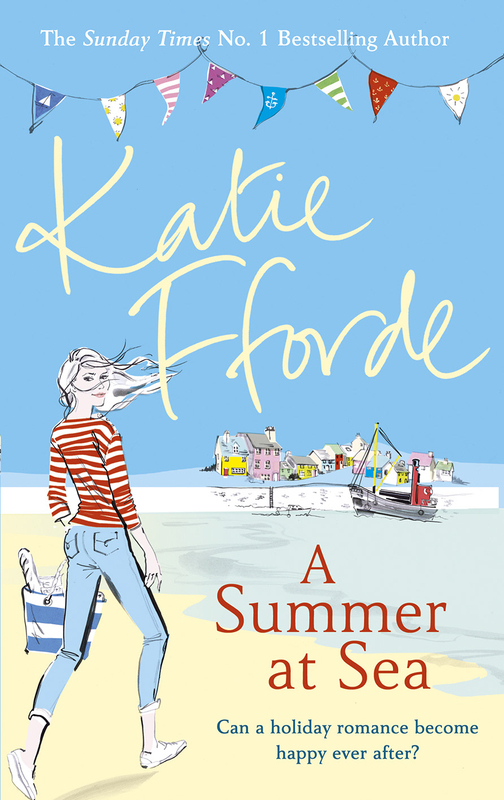 Katie Fforde is my go to author when I need an uplifting, sweet cosy read and that was exactly what I got with A Summer at Sea. Emily loves her job as a midwife but the negativity she receives from people's opinions of the safety of home births are beginning to take there toll and Emily needs a break so when her pregnant best friend Rebecca calls asking her for a big favour, to work as a cook for a couple of months on the steam boat come hotel that her and her husband run Emily saw this as a perfect opportunity to get away from work for a while and catch up with her friend but could the new lifestyle capture her heart? One thing that Katie Fforde always brings to her books is a picturesque idyllic setting that becomes so vivid in the readers mind that you feel like you are transported there alongside the wonderful characters, I would pack my bags now to start my new life Crinan! I especially loved the trip Emily took over to the sea loch that sounded like an idyllic day out to me a place to escape. There was a lovely splash of romance blossoming which we come to expect from this authors books and although it was a predictable romance it had its ups and downs along the way so our attention was still held. The characters were all such warm and loveable characters, Kate was a charming little lady and her friendship with Emily was so endearing watching her open up and trust another woman around. Emily was a kind hearted, hard working main character and I thoroughly enjoyed watching her on her journey. Katie Fforde never disappoints, this book gets another big thumbs up for me Katie's fans are going to love sailing away in this book.